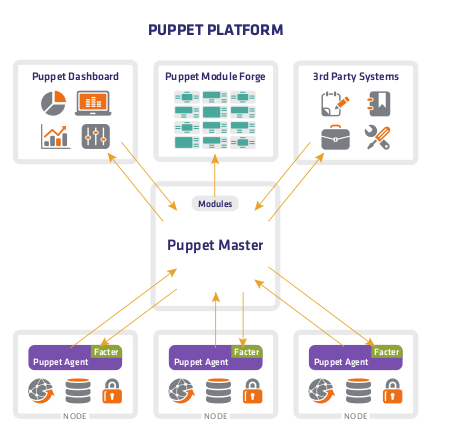 "Match.com, Red Hat, Twitter, Zynga and 50,000 others businesses are already relying on Puppet to manage more than a million machines and automate the provisioning, patching and configuration of operating system and application components across enterprise and cloud infrastructures", said Puppet Labs in the press release earlier this week. Simplified integration and installation—Get up to speed immediately with a pre-built integration of Puppet, Puppet Master, Dashboard, Facter and all Puppet dependencies such as Ruby, Passenger, and Apache. Tuned for Scalability—Pre-configured to offer out-of-the-box scalability and the performance levels required in large installations. Tested and Approved—Packages are tested by Puppet Labs engineers using our robust quality assurance process. Built-in support—Enterprise-class support with issue resolution, feature enhancement priority requests, and best practices advice. Always current—Maintenance is included in your license. You always have access to the latest and greatest releases of the integrated platform. 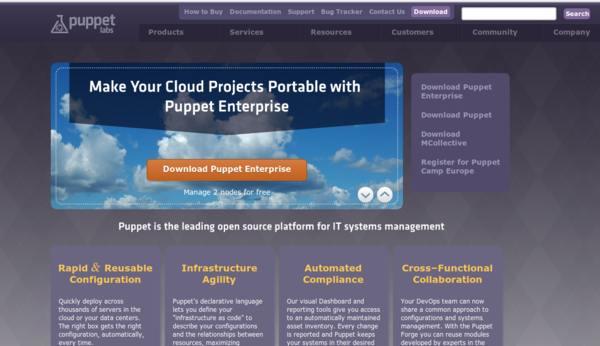 Puppet Enterprise is now available for download. Puppet also has a fact sheet which will give users more information about this version of Puppet as well. 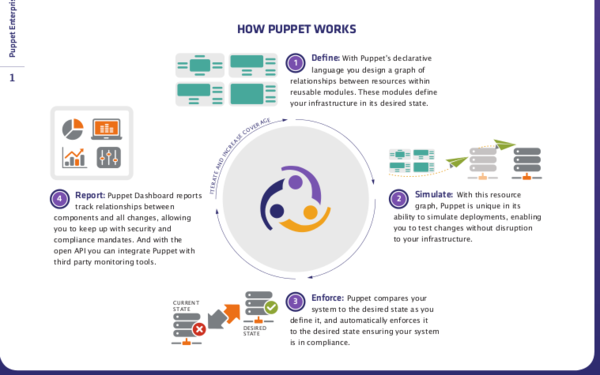 Puppet Enterprise includes the following: Puppet Master, Puppet Agent, Puppet Dashboard, Puppet Module Tool, Facter. It also includes third-party systems modules such as Ruby, Apache, Phusion, Passenger with third-party libraries such as Ruby on Rails, RubyGems, Rack, Rake, Haml, RSpec, and jQuery. Supported Operating systems include: RHEL 5.5, CentOS 5.5, Ubuntu LTS 10.04, Debian Lenny 5.0.7, Oracle Enterprise Linux 5 Update 5.